Final call for LAMMA trailers! With LAMMA 2014 only seven weeks away, if the idea of huddling in a marquee is filling you with trepidation we still have limited availability on 4m and 5m show trailers with doors and nice fan heaters so call Lindsey on 01543 255452 for more information. TCM Trailers were off to Wembley again this weekend, for the NFL International series. 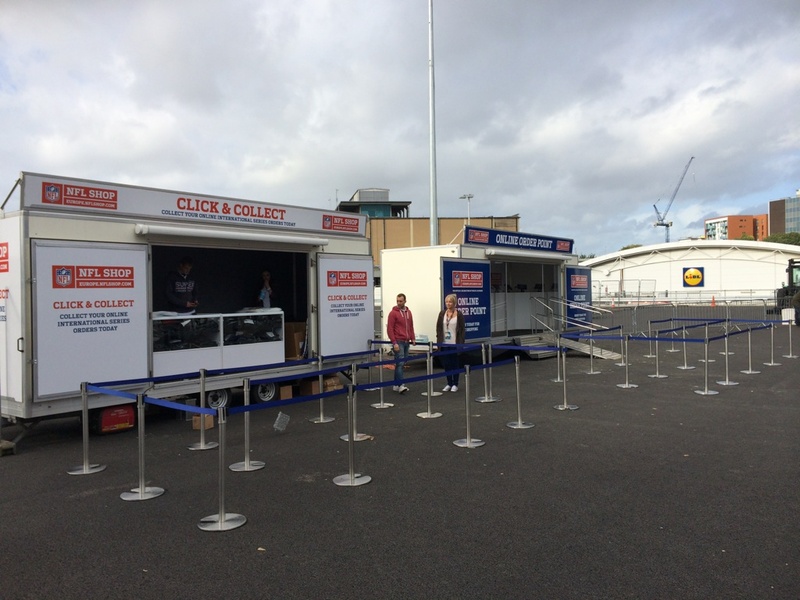 The NFL merchandising trailers offered a Click and Collect service, or an Online Order Point – to find out more about merchandising trailers from TCM call Lindsey on 01543 255452. Summer seems to have arrived at last, just in time for the Cereals show! If the long-lost British summer is enticing you to brave an outdoor event this year, call Lindsey on 01543 255452 to talk about a mobile display unit or show trailer, and tak eyour message on the road. Has the sunshine woken up the retailers? 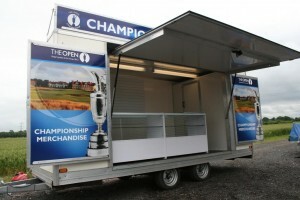 Lots of enquiries this week regarding merchandising and retail trailer sales and hire. It seems the sunshine has reminded everyone that the summer show season is looming! We still have availability so if you want to maximise your takings at an event and sell official event promotional goods or programmes from a mobile shop, give Lindsey a call on 01543 255452 to find out how we can help.